Yoshi Ichida was born in the Kiyomizu district of Kyoto City, Japan. In 1976, Mr. Ichida joined JCCC Aikikai and studied Aikido under Osamu Obata Shihan and the late Kenji Ochi Sensei at the Japanese Canadian Cultural Centre located at 123 Wynford Drive, Don Mills, Canada and continues to practice with Obata Shihan. Mr. Ichida has also studied Aikido with Kaoru Inakoshi Shihan, late Yukio Kawahara Shihan, Kazuo Nomura Shihan, Shunzo Honsawa Shihan, and Yuichi Takita Shihan in Japan. Over the years he has participated in seminars instructed by the late Kishomaru Ueshiba Doshu and Moriteru Ueshiba Doshu. He believes that Aikido begins with kamae, a state of readiness. From this, one is able to respond with a quick and soft forward movement or irimi. Balance and timing is achieved through guiding the breath, or kokyu. The aim of Budo ultimately allows us to cultivate and share our own sense of discipline, awareness and harmony. 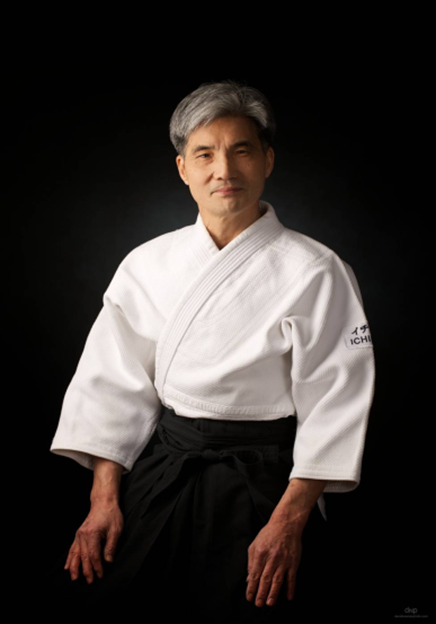 Mr. Ichida is serving a Senior Instructor and an Executive Advisor at JCCC Aikikai and has served as a member of the Board of Directors at the Japanese Canadian Cultural Centre, and he was Assistant to the Chief Instructor & Vice President of JCCC Aikikai in the past. In 2005, he received the Volunteer Service Award from the Government of Ontario, Canada and the Volunteer Service Award from the Japanese Canadian Cultural Centre for 15 years of commitment to the JCCC Aikikai and the Centre.